In previous posts, I’ve described in great detail my dad’s prowess as the Combes Family Inn‘s breakfast chef, and, on a few occasions, wrote about my mom’s role as its main dinner chef. Dad also contributes to the inn’s kitchen as a specialty chef in different and oftentimes unique ways. These other specialties of his can best be described as culinary hobbies. For example, about 20 years ago, Dad really got into making his own pasta. Inn guests got to sample several delicious variations of fettuccini, stuffed ravioli, and the like. As popular as this phase was, unfortunately, according to my mother, it only lasted for about six months. There is recent evidence of a pasta-making revival, however. Mom said just yesterday, “I was cleaning out the basement the other day and I found your father’s pasta machine. I told him he really should start making his own pasta again.” And, checking in with Dad on the matter, he said he probably would crank up the old machine again. One of many food phases Dad went through included sausage making, which he said he only tried a couple of times. Evidently it was fun, but a lot of work. “There’s really an art to it and I can’t say that I developed it,” he admitted. Despite the short-lived nature of the aforementioned, there are two culinary hobbies Dad comes back to time and time again: making soups and baking bread. 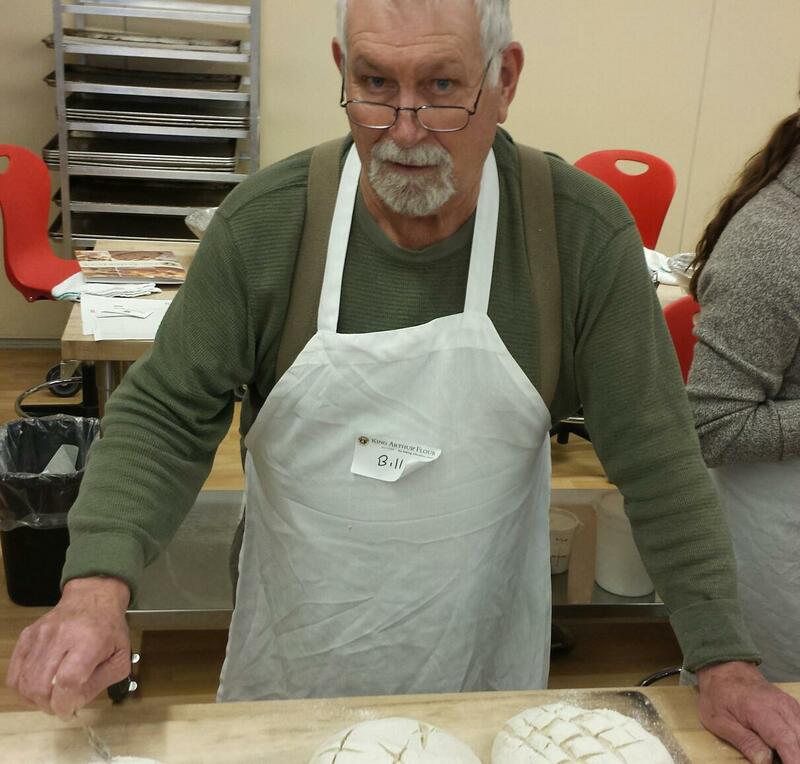 Since he loves baking bread so much, and because the inn’s guests love eating it, my husband and I gave Dad a class at King Arthur Flour’s Baking Education Center as a Christmas gift one year. He’s now been to King Arthur for a different class three years in a row. One of Dad’s all-time favorite breads from these classes is Portuguese bread, which uses what’s called unbleached “wholesome” flour. Dad’s secret is that you can put other things in it—such as seeds, nuts or berries—simply by replacing one cup of the flour in the recipe with a cup of one type or a mixture of these other goodies. He’s also a big fan of baking scones, and he attended one class that was exclusively dedicated to the art of making them. “I like making scones, because I like eating them,” he opined. “It’s more like a dessert. They’re also easier to make than other kinds of bread.” Several of these recipes can be found on the King Arthur Flour website here. When I asked if he wants to get another class as a gift this coming Christmas, the answer was a resounding YES. “The classes are interesting because each has 30 people in it and everybody is different. Some are professional bread bakers and others are home-makers or whatever. I guess you could say that I’m a professional home-maker,” he says. 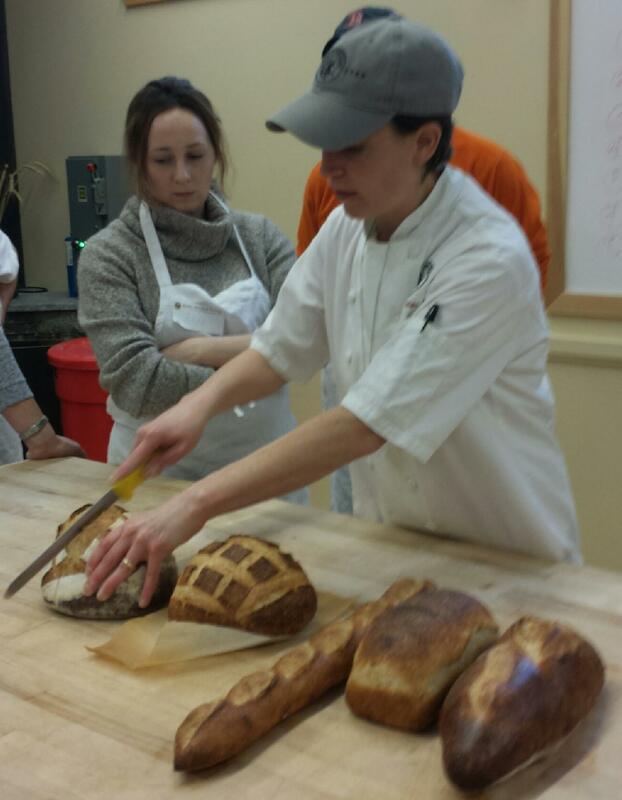 The Baking Education Center class calendar can be found here and King Arthur Flour bread recipes are here.